There are well over 100,000 patients on the Kidney Transplant waiting list with nearly 5,000 patients dying before ever receiving a call. While the Transplant Centers work diligently, the demand for a kidney transplant, decreased the availability of deceased donors, and rule changes are making the wait-time for a kidney on the list almost unbearable. New research suggests wait-times exceeding a decade in some areas of the country and kidneys from the list becoming very difficult for those over the age of 50-years-old to obtain. While the picture may seem a bit bleak, one salvation is Living Kidney Donation. Dr. Stuart Himmelstein refuse to just wait silently and he is setting an example that many other patients are beginning to follow. There are well over 100,000 patients on the Kidney Transplant waiting list with nearly 5,000 patients dying before ever receiving a call. While the Transplant Centers work diligently, the surge of demand for kidney transplants, decreased availability of deceased (dead) donors, and rule changes are making the wait-time for a kidney on the list almost unbearable. New research suggests wait-times are exceeding a decade in some areas of the country and kidneys from the list are becoming very difficult for those over the age of 50-years-old to obtain. While the picture may seem a bit bleak, one salvation is Living Kidney Donation. Dr. Stuart Himmelstein refuses to just wait silently for a lifesaving kidney, and he is setting an example that many other patients are beginning to follow. Learn more about serving as Stu’s Living Kidney Donor by clicking here. How have you tried to share your story? What has worked and what has not? Do you think that you will be successful? Share your responses with the nearly 66,000 friends who like KidneyBuzz.com on Facebook (click here). While you are there, like the KidneyBuzz.com Facebook Fan Page and visit KidneyBuzz.com regularly (200,000 monthly viewers) for the latest tailored breaking news and information which teaches those with Chronic Kidney Disease, Dialysis, Kidney Transplant, Diabetes, and High Blood Pressure how to better manage and improve their lives. 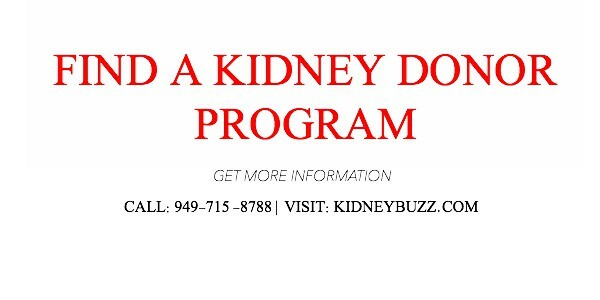 You may become a regular visitor like, Charles Griffin who said, "Praise God for KidneyBuzz." Would you Stop Dialysis as an End Stage Renal Disease Patient?